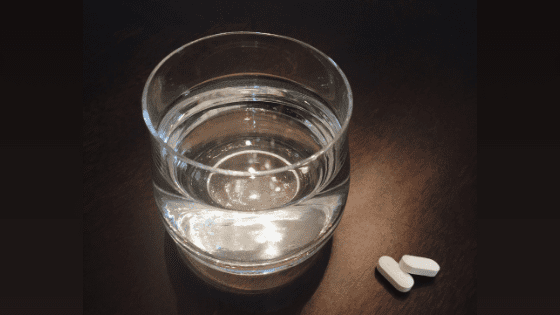 What is non-pharmaceutical pain management? In our everyday lives, we often rely on smartphones to keep us organized, and often hear the phrase, “there’s an app for that.” In the world of pain management, it seems like the equivalent would be, “there’s a pill for that.” However, when it comes to our bodies, sometimes there’s something to be said for the no-pill approach. If we’re willing to try using different strategies and techniques, we can often manage pain without turning to pharmaceuticals. Physical pain can appear in many forms and have many causes. When it’s not due to a serious illness, it often involves muscle pain and spasms due to injury, exercise, or swelling in the joints. While there is no doubt that medical intervention might be necessary, there are several ways to incorporate non-pharmaceutical ways to help control and reduce that kind of pain. Putting a heat pack on an afflicted area can help ease muscle spasms and decrease pain. Take a bag of warm grain or some other warm source and apply it to the painful area for about 20 to 30 minutes. Repeat every 2 hours as needed. Ice packs can help reduce pain by decreasing swelling and inflammation. If you have swelling due to inflammation like tendonitis (inflammation of a tendon) or bursitis (inflammation of the fluid-filled sac, or bursa, in the knee, elbow, or shoulder), applying cold can numb the area for pain relief in addition to reducing the swelling or inflammation. Don’t put ice packs directly on the skin, but cover with a towel to protect the tissue from frostbite and keep it there for 15 to 20 minutes every hour as needed. Massage therapy is a great way to relax tight muscles, loosening tissue and decreasing pain. It not only reduces muscle tissue but also reduces nerve compression because when muscles contract they can compress the nerves around them. It also increases delta waves to help you relax – the same type of brain waves that occur during deep sleep. Studies have shown that massage can also decrease symptoms for conditions like asthma, migraines, and attention deficit disorder, to name a few. There are several relaxation techniques that can relieve stress and decrease pain. Yoga is a series of meaningful poses that utilize breathing techniques. The combination can not only help your mind and body relax, but help take the focus off your pain. Aromatherapy is another relaxation technique that uses scents inhaled via oils, extracts, or fragrances to help relax, relieve stress, and decrease pain. Neurostimulation uses techniques like acupuncture and acupressure to modulate the activity of the nervous system. Acupuncture can help relieve pain associated with headaches, blood pressure problems, and whooping cough. NCCIH research is also studying how it may also help reduce the frequency of menopause hot flashes, and discomfort associated with chemotherapy. Exercise is a great way to decrease stress levels. It not only burns off excess energy (nervous or otherwise) but also produces endorphins, brain chemicals that act as natural painkillers. It also improves your ability to sleep. Getting a proper amount of sleep each night not only reduces the effects of stress, and lack of adequate sleep, it is associated with elevated levels of cortisol, known as the “stress hormone,” and too much cortisol can lead to weight gain, muscle weakness and diabetes, among other conditions. A cup in the morning is one thing, but too much can increase jittery feelings and reduce your ability to handle anxiety. In mass quantities, it can even boost your heartbeat and increase your blood pressure to the point where it can cause a panic attack. A balanced diet is a good idea whether you suffer from anxiety or not, but keeping your body well-fueled with whole, healthy foods goes a long way toward giving you the energy to better handle the stresses in your life. Keeping yourself properly hydrated with at least eight 8-ounce glasses of water every day can help your body stay healthy and handle stress. Sometimes mild anxiety can be helped with certain herbal remedies. It’s a good idea to check with a doctor before starting any supplemental regimen, and engage the advice of a good health and wellness coach to get the right (amount) of things like vitamin B-12, chamomile, kava root, valerian, passionflower, and L-theanine. With a little research, you may be able to address certain physical or emotional pain with a non-pharmaceutical approach.